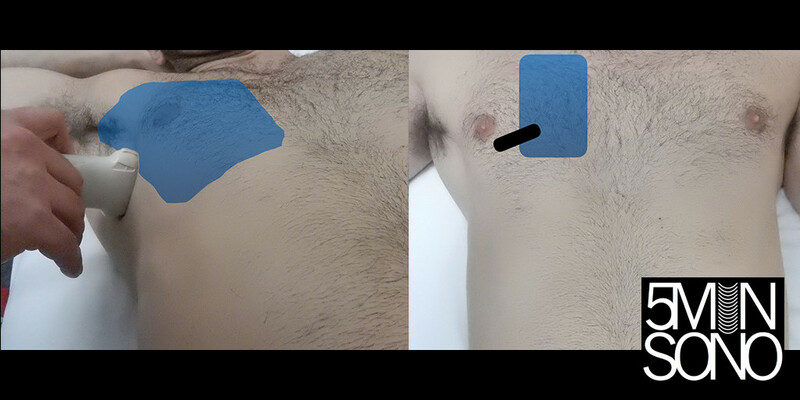 Traditionally, the examination for PTX involves placing the probe in the sagittal orientation in order to visualize the pleural line below the ribs. 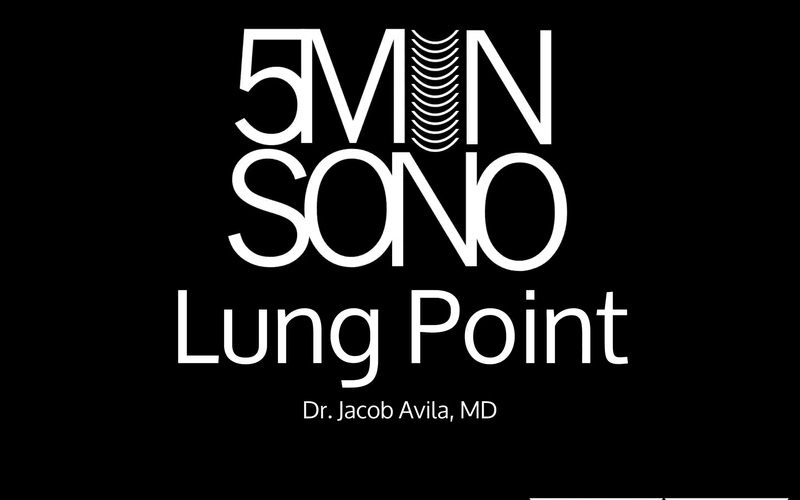 Alrajab S, Youssef AM, Akkus NI, Caldito G. Pleural ultrasonography versus chest radiography for the diagnosis of pneumothorax: review of the literature and meta-analysis. Crit Care. 2013;17:(5)R208. Wilkerson RG, Stone MB. Sensitivity of bedside ultrasound and supine anteroposterior chest radiographs for the identification of pneumothorax after blunt trauma. Acad Emerg Med. 2010;17:(1)11-7. Ding W, Shen Y, Yang J, He X, Zhang M. Diagnosis of pneumothorax by radiography and ultrasonography: a meta-analysis. Chest. 2011;140:(4)859-66. Lichtenstein DA, Mezière G, Lascols N, et al. 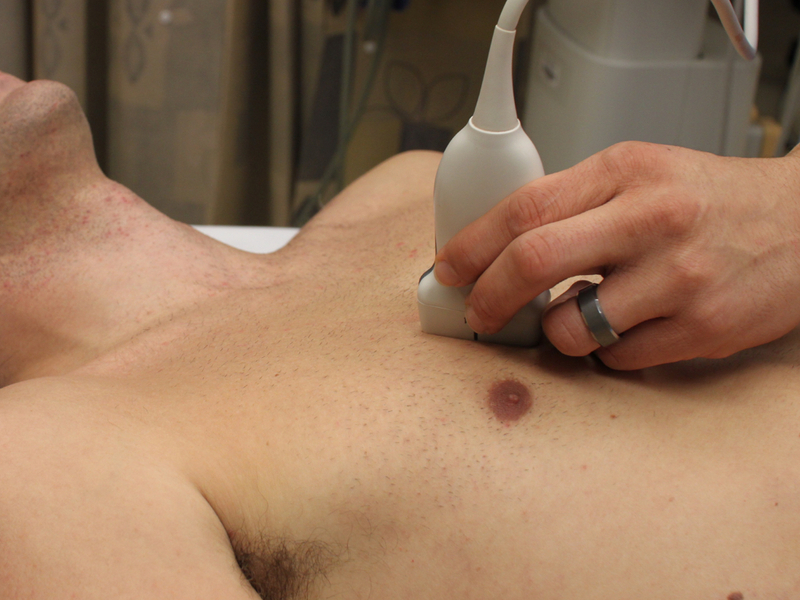 Ultrasound diagnosis of occult pneumothorax. Crit Care Med. 2005;33:(6)1231-8.